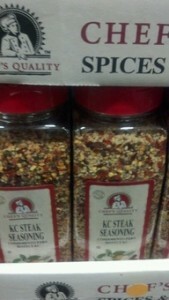 Chef’s Quality KC Steak Seasoning is a unique robust flavor. 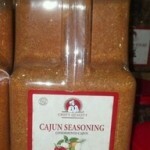 This special blend will enhance the the flavor of your Steak, Roast, Stews, Knobs, and also tastes great on Burgers. 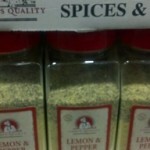 Blend of various spices for great tasting steaks!! Chefs Quality is a brand used by many different types of restaurants and food service facilities across the US. Most of the items are bulk size and discounted relative to the price paid in a normal supermarket. Definitely a great substitute for many “name” brand items. 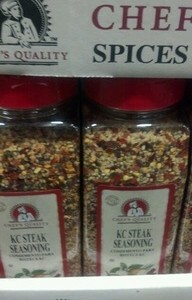 Try a 2 pack of this great steak seasoning today!